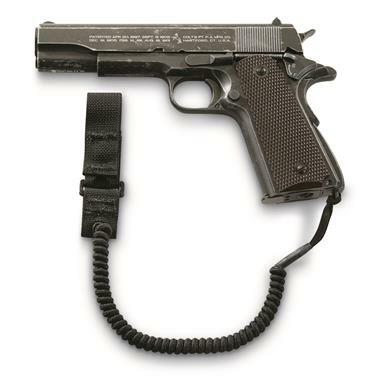 A "dummy cord" for your side arm. Now that's smart. Designed to meet the needs of U.S. Armed Forces who would be up a creek if they swamped their gun during water ops., or accidentally dropped their "backup plan" out of a chopper. The tactical retention lanyard offers superior security for any side arm with a lanyard loop. Durable coiled cord is elastic, so it stretches with your stance.